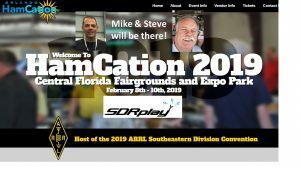 Mike and Steve are getting ready to be at Hamcation in Orlando, Florida this coming weekend. SDRplay will have a demo running at the HRO booth, and a Panadapter demo at the Kenwood booth. Steve will also be giving a talk, “An Intro to Software-Defined Radio” at 3pm on Saturday 9th February, in the Lakeside Pavilion, CS II.